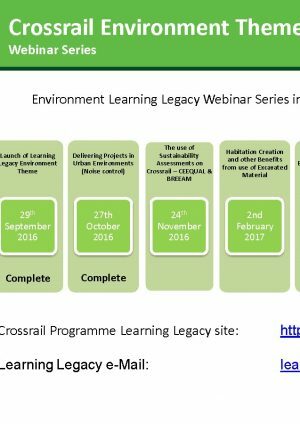 This is the third in a series of Crossrail Learning Legacy webinars focused on the Environment Theme, hosted by our partners at CIRIA and IEMA. It describes how CEEQUAL and BREEAM were used to benchmark the environmental performance of the project. Both BREEAM and CEEQUAL have been and are being extensively used on the Crossrail programme in terms of underground train stations (new works and major refurbishments) and tunnels, portals and shafts respectively. The use of BREEAM for underground stations was pioneered on Crossrail and required the adaptation of the use of BREEAM bespoke 2008 methodology to enable BREEAM assessments to be carried out on the Crossrail project works relating to underground train stations (new works and major refurbishments). CEEQUAL has been used as a tool to benchmark overall environmental performance for Crossrail’s tunnels, portals and shafts. 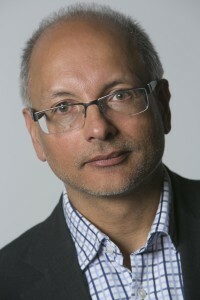 This webinar presents an introduction to the experiences of using the two methodologies across the design and construction elements of the Crossrail programme; highlighting the collaborative approach adopted to allow effective adoption of the two methodologies as well as highlighting learning points for future adoption on other underground stations and structures. Suzanne is an Environmental Advisor at Crossrail. She joined the project in 2011 as an EMS co-ordinator and was involved in developing and implementing Crossrail’s Environmental Management System. 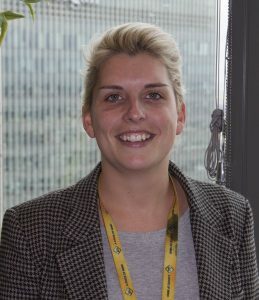 She then moved into the delivery team in an Environmental advisor role and is currently responsible for working with contractors to ensure that construction work is undertaken in compliance with the Environmental Minimum Requirements, and for promoting world class performance and driving best practice. The environmental advisor role includes responsibilities such as being instrumental in the process for obtaining and complying with consents, facilitating collaboration between contractor, technical and delivery within CRL and then between client contractor and statutory bodies as well as working with stations contracts to achieve BREEAM certification. Prior to Crossrail, Suzanne had 5 years experience working for a civil engineering contractor on highways and airports projects.